Abandonment of the Big Bang and Cosmic Microwave Background theories will lead to a revolution in science. Nathan Cohen in “Gravity’s Lens” (page 223). “The singularity at the beginning of the universe …” is how Stephen Hawking described the Big Bang in his book ‘A Brief History of Time’ (page 46). He defined ‘singularity’ as “A point in space-time at which the space-time curvature becomes infinite”. Everything is viewed as having started from a single point at the beginning of time and spreading out from that. It is claimed that distant galaxies are moving rapidly away from us as well as from each other and it is argued that proof is provided by the Doppler Effect, which can be readily understood. An observer alongside a highway hears the high-pitched sound of a rapidly approaching automobile. Between consecutive sound wave peaks, the vehicle moves forward slightly so that the distance between consecutive sound wave peaks as the vehicle approaches is less than it would be if the vehicle were stationary. The shorter wavelength means that the frequency and pitch are higher. When the vehicle has passed, consecutive sound wave peaks received by the observer are now slightly further apart so that their frequency, and therefore pitch, are lower. Christian Doppler’s 1843 scientific paper on this phenomenon was primarily about light, which can also be represented by wave-forms. If the speeding automobile had an omnidirectional, yellow light on its roof, yellow light received by the observer as it approached would have a slightly green tinge because the yellow light would be displaced toward the shorter wavelength (blue) end of the visible spectrum. When the vehicle had passed, yellow light received by the observer would be slightly orange because it would be displaced toward the longer wavelength (red) end of the spectrum. The human eye cannot recognize the color change resulting from even the fastest car, for while highway traffic may travel at 1/10th the speed of sound in air at sea level, that is roughly 1/10 millionth the speed of light. The example is real, however, and the color difference could be demonstrated by a sufficiently sensitive instrument. A receding star demonstrates the same phenomenon, accounting for the well-known red-shift. Absorption lines in its spectrum are displaced slightly toward the red end, from which it has been concluded that the star is moving away. If a star is approaching the observer it will provide a blue-shift. A spectrograph shows not only a spread of colors but spectral lines that are distinctive for each element, called Fraunhofer lines. The wavelengths of the lines have been determined precisely on Earth so that even very small shifts in wavelengths from space can be measured. A spectrograph was first used in 1859 to demonstrate that shifts in the position of spectral lines of stars in our Galaxy could be used to determine their relative movement toward or away from Earth. As better telescopes were developed, astronomers were then able to measure the spectral shift of galaxies, and it was with this development that the drift of astronomy away from reality began to speed up. A quasar (quasi-stellar radio source) is a powerful, energy-emitting body at the center of a galaxy, while others may be generated within galaxies. The first quasar was discovered in 1962 with the radio telescope at Parkes, Australia. The Mt. Palomar Observatory in California soon obtained its optical spectrum, and a huge red-shift of the spectrum was attributed, naturally, to the Doppler Effect. This led to the conclusion that the quasar and its galaxy are 2 billion light-years away from Earth. It was later discovered that at a red-shift of 200%, the number of quasars increased 1,000- fold, which led cosmologists to conclude that quasars used to be much more plentiful than they are today. Many more quasars have now been discovered, and except within the Local Group, every one of them displays a huge red-shift. Calculated speeds away from Earth are now up to 200 million kilometers per hour, at a distance of more than 12 billion light years! I would like to raise a question here: At what point does common sense enter into all this? Based upon the observed red-shift of quasars and galaxies, cosmologists have concluded that space itself is expanding. The red-shift of distant galaxies has been explained as being due to either the expansion of the Universe according to Newtonian physics or to the curvature of space-time according to the general theory of relativity. Expansion of space is easier to understand than the curvature of space-time, and this is the explanation that is most frequently given, but as concepts, they are regarded as being equally correct. Stephen Hawking employed the analogy of spots on the surface of an inflating balloon to demonstrate how the view from every point in an expanding Universe remains similar. The opposite of this trend is illustrated by continuing past the condition of full deflation until the spots have coalesced at a single point. This point represents Hawking’s singularity at the beginning of the Universe. So convinced are cosmologists that the Big Bang took place, they have calculated the conditions of temperature and pressure that must have prevailed immediately thereafter. What was it that exploded, however, in an explosion stronger than could be contained by gravity, and where did it come from? Their interest stems from a desire to be able to explain the origins of elements and galaxies, but when better explanations for both are recognized, the Big Bang may lose its appeal. One argument that has been used to support the Big Bang involves the amount of helium in the Universe. One of the attractions of the Big Bang for scientists is that conditions which could have been suitable for the formation of heavier elements, by a process they call “progressive neutron capture”, can be assumed. Then, it can be concluded that the Big Bang really did take place. When the Big Bang hypothesis is finally abandoned, it will take with it the very foundation of Particle Physics as it is practiced today. Nathan Cohen in “Gravity’s Lens”, (page 189). Stars within a spiral galaxy tend to share a similar angular velocity whether they are situated at the edge of the visible disk or close to its hub. This shows that the entire galaxy is rotating almost as if it were a solid structure. If our Solar System were to behave like this, the outer planets should be lost into space by centrifugal force. Cosmologists recognize that stars at the edge of a spiral galaxy maintain their position because some force must keep them there. Since gravity is the only force acting on a galactic scale that cosmologists recognize, they have concluded that this must be what holds galaxies together. Since stars are not lost from the edges of rotating galaxies, cosmologists know that gravity is responsible. Since there isn’t enough visible matter to account for this, cosmologists have concluded that galaxies must include huge amounts of exotic matter that has properties unknown on Earth, is not made up of protons and neutrons, and is invisible. Cosmologists have desperately sought evidence of this dark matter so they could close the Universe. To accomplish this they would need to satisfy themselves that the Universe contains sufficient mass for its expansion to be overcome by gravity. Cosmology is largely about gravity. The problem is that it shouldn’t be. Another argument that has been offered in favor of most matter being invisible concerns the flatness problem. A ‘flat’ Universe is one in which the rate of recession and its mass are exactly matched. This concept requires the expansion of the Universe to slow until gravity can eventually cause it to contract. The mass density in the observed Universe is thought to be within a factor of 10 (or at least 100) of what is required of a closed Universe. Since any deviation from flatness at the Big Bang should have increased linearly with time, cosmologists conclude the Universe must have been flat to an accuracy of within one part in a trillion (1 million-million). As a result, most cosmologists accept that the Universe is ‘flat’. One problem this causes is that more than 85% of everything must be invisible. Accepting that the Universe is flat due to an amazing coincidence obviously wouldn’t do, and so the search began for an explanation. This led to the concept of the unified force. The unified force might sound like a team of crime fighters but it describes the proposed equivalence of three fundamental physical forces: the electromagnetic force, the strong nuclear force and the weak nuclear force were supposedly symmetrical at the Big Bang. As the Universe cooled, however, that supposed symmetry was lost, resulting in rapid expansion. In this instance, the term ‘rapid’ is a bit underwhelming since it has been calculated that the expansion grew by more than 28 orders of magnitude (which is times 1 followed by 28 zeros) in less than 10-30 seconds, which is close to no time at all. Champions of the unified force claim that it will solve the flatness problem — if only they can find that missing dark matter. If a Grand Unified Theory is required in order to substantiate missing dark matter and dark energy, then this alone can be taken as an absolute guarantee of failure. Believing that the elements formed immediately after the Big Bang, cosmologists have concluded that a limit to the number of protons and neutrons must have been what prevented the formation of more of the complex elements. They estimated the total visible mass and compared the effect of dark matter upon small galaxies, and then larger galaxies, and then groups of galaxies, and all of their calculations confirmed their own conclusions that most of the total mass of the Universe must be invisible. There are many things out there that we cannot see from Earth, but to conclude that most matter is invisible and does not contain protons and neutrons because stars at the periphery of a galaxy appear to reject the laws of gravity is absurd. It is the electromagnetic force, and not gravity, that keeps the stars in their places. The introduction of imaginary matter, having unknown properties, and constituting 85% (up to 99% by some claims — pick a number!) of the mass of the Universe in order to account for stars remaining within their galaxies, is a typical example of the unreality that characterizes cosmology. The hypothetical dark energy has been termed ‘quintessence’. This reminds me of ‘phlogiston’ which once seemed to be a perfectly plausible term, and which was used to cover up the fact that nobody knew what it was. Phlogiston or ‘fire-stuff’ was supposed to be present in all flammable substances until Lavoisier developed the oxygen theory of combustion. If this dark energy is an energy field then it might change its strength over time and this would affect the Universe differently at different times. Cosmologists accommodatingly provided a freezing version in which their dark energy runs down with time and a thawing version in which the energy level increases with time. Alternatively, we are informed that there may be no such thing as dark energy at all and that maybe gravity works differently than theory predicts. A University of British Columbia astrophysicist was recently quoted as saying this about dark energy “It’s most of what’s in the universe. We know it’s there because we can see what it does.” Why did Einstein have to leave us when he’s needed most? In his book ‘Einstein’s Mistakes’, Hans Ohanian provides an interesting account of what Einstein and many of his contemporaries were doing. As Einstein struggled in 1917 to apply the equations of general relativity to the overall distribution of stars throughout the Universe, he followed Isaac Newton’s lead in accepting that the stars remained in fixed positions and were affected largely by gravity. At the time it was not anticipated that an interpretation of spectral red-shifts of galaxies would be accepted as proof of an expanding Universe, let alone that later observations would be accepted as proof that the expansion is accelerating. Arthur Eddington, the British astronomer, calculated that Einstein’s original model of a static Universe was unstable and would either expand or contract at an increasing rate. The first clues to the supposed expansion of the Universe were discovered in 1912 by Vesto Slipher at the Lowell Observatory in Arizona. They were further developed in the late 1920s when Edwin Hubble at the Mt. Wilson Observatory in California identified the nebulae that Slipher had been studying as separate galaxies beyond our own. It has since been accepted by cosmologists that the Universe contains 71% repulsive dark energy and 29% attractive mass. When Einstein was younger, and in his most productive period, he applied his prodigious talent to considering physics on his own terms. Now, however, he held no special insight into the workings of the Universe and accepted the observations of his contemporaries. Accepting the prevailing belief in a static Universe, he had attempted, and failed, to accommodate this restriction by adding a cosmological term that would, in a sense, ‘hold back gravity’. Later, accepting the views of his colleagues that the Universe is expanding, he removed this term from his equations, regarding it as a mistake. In a major irony, while Einstein had at first been criticized for adding this term, he was now criticized for removing it. Cosmologists presently conclude it should be viewed as a symbol of the dark energy that produces their accelerated expansion. Cosmologists believe that the measured wavelength of light from a distant galaxy enables them to calculate the distance of the galaxy from Earth, as well as the speed at which it is moving away from us. To them, the further out in space they can see is the equivalent of looking backward in time. After determination of the ubiquitous redshift of galaxies, the next major pillar of the developing science of cosmology was the cosmic microwave background. In 1965 it was discovered that Earth is bathed in uniform microwave radiation from every point in the sky. Its significance was immediately appreciated by theorists, who had predicted a vestige of heat radiation from the Big Bang. The Big Bang required microwaves and microwaves confirmed the Big Bang. Well — almost. Big Bang theory required visible and infrared radiation to have been red-shifted by its journey across the expanding Universe, but the extent of the red-shift could not be known. Going with what they had, cosmologists concluded that the observed wavelength had been red-shifted to 1,500 times its original wavelength! In addition, the observed radiation had several thousand times less energy than George Gamow and others had predicted. They also removed a variation in wavelength across the celestial sphere, which they justified by claiming it to be a Doppler effect. This required our Galaxy, together with the Local Group, to be moving at more than 2 million kilometers per hour with respect to the surrounding Universe. This startling speed, in turn, introduced mystifying complexities to the geometrical relationship between the Local Group and its neighbors. 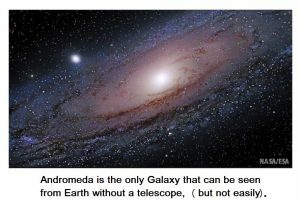 Andromeda and the Local Group were now the only galaxies to have a blue shift instead of a red-shift like all the rest. The explanation given is that the intrinsic motion of a galaxy, which astronomers call its peculiar motion, can exceed its motion due to the expansion of the Universe. Regardless, radiation the cosmologists had would have to do. Now that the observed radiation had been converted into what theory demanded, it could be used to support the Big Bang. Well — almost. The massaged data now described completely uniform background radiation, while Big Bang theory demanded density fluctuations, termed cosmic strings, which could be amplified by gravity to form galaxies. (Remember, gravity is the only long-range force that cosmologists recognize.) Scientific American (July ’92, p18) reported: “Theorists obligingly adjusted their models to accommodate ever smaller initial density fluctuations.” Finally, NASA’s Cosmic Background Explorer (COBE) satellite, with its ultra-sensitive differential microwave radiometers, discovered density fluctuations that could be used to support the Big Bang. Well — almost. Density fluctuations recorded by the satellite were so small they could not be distinguished from instrument noise. This meant that one final step would have to be carried out. Cosmologists applied advanced probability methodology to their data to provide them with what they required. In its final processed form, the data could be readily distinguished from instrument noise, and described a splendid black-body curve, just as Big Bang theory supposedly requires. A black-body curve describes the absorption of radiation without reflection. Arno Penzias and Robert Wilson, of Bell Telephone Laboratories, shared the Nobel Prize in 1965 for their discovery of cosmic microwave background. The radiation, which was explained by Robert Dicke and his group at Princeton University, had been predicted by George Gamow in his book ‘The Creation of the Universe’ in 1952. More recently, COBE satellite results have been viewed by many as constituting acceptable proof that there really was a Big Bang. With rather less than the assets of NASA, I will have to speculate on the source of the cosmic microwave background. I believe that nuclear as well as electrical processes on comets in the Oort Cloud are responsible for the radiation and for its uniform composition from the perspective of Earth. I attribute a variation in wavelength across the celestial sphere as due to a drop in voltage across the Galaxy. The distribution of the microwave radiation along a black-body curve must result from Earth’s location within the transmitter. Our celestial neighbor, the Andromeda Galaxy, has an observed rotational velocity that cosmologists are unable to explain. According to them, stars in the periphery should be lost into space due to centrifugal force. When cosmologists have learned that it is the electromagnetic force and not gravity that keeps galaxies together, this will no longer be a mystery to them, and imaginary dark matter/dark energy might cease to be an obsession. Unfortunately for the cosmologists, they simply took for granted that astronomers got things right when they determined how our Sun and our Solar System function. As cosmologists investigate increasingly distant phenomena, they apply lessons that have been mislearned closer to home. Common sense tells us that if a group of specialists set out to determine the energy source of the Sun and got it wrong because they had overlooked the most powerful force in the Universe, and other specialists applied the same flawed knowledge and similar thought processes to determine how galaxies began, they would get that wrong as well. In his book ‘A Brief History of Time’, Stephen Hawking wrote (page 50) that British physicist Roger Penrose developed a theorem to show that any collapsing star ‘must’ end in a singularity. I accept Einstein’s General Theory of Relativity, and also that the Universe contains as much matter as we observe. The part of Hawking’s statement that I totally reject concerns his Big Bang singularity. Data employed by Roger Penrose assumes the pre-eminence of gravity while ignoring the electromagnetic force. The theorem then goes on to predict that black holes are real. This as a clear indication they are not. Carl Sagan wrote in ‘Cosmos’ (page 241) that thermonuclear reactions in the solar interior support the outer layers of the Sun, postponing its catastrophic gravitational collapse. Every type of star postpones its inevitable collapse in a characteristic manner, and a star that has twenty times the mass of the Sun is destined to collapse into a black hole. That the postponement of the development of black holes should be attributed to thermonuclear reactions taking place in the cores of stars provides further confirmation of the imaginary nature of black holes. John Michell, a clergyman and brilliant natural philosopher who is almost forgotten today, claimed in 1783 that no light would escape from a star with sufficient mass. A star, from which light cannot escape, however, is a contradiction in terms since the light from any star is a result of the same electrical current that supports it against its gravitational collapse. Black hole theory has since added the concept of collapse to an infinite density. Phlogiston ruled for barely a century, while the basic concept of black holes, which John Michell also reportedly suggested, has hung around for more than twice as long. Michell’s claim was made before the time of Michael Faraday, who was two years old when Michell died and long before the dawn of nuclear physics, and the idea should have been dropped long ago. Black holes have developed into a huge industry encompassing supercomputers and university departments and publications and great gatherings of specialists. Astronauts of the future, say these specialists, may visit a black hole and avoid the singularity by escaping through a wormhole. Some actually believe that astronauts will be able to travel into the past in this way. One day it will be realized that the entertainment value of cosmology reached its zenith with the development of the theory of black holes. Hawking wrote “[T]he fact that [gravity] is both long range and always attractive means that its effects all add up. 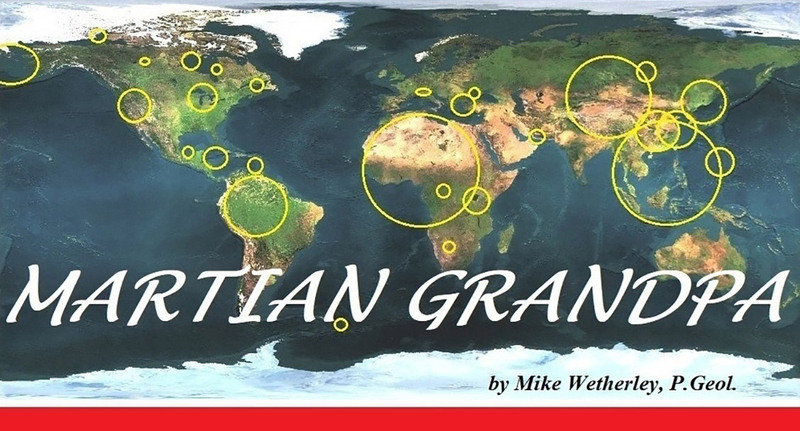 So for a sufficiently large number of matter particles, gravitational forces can dominate over all other forces. This is why it is gravity that determines the evolution of the universe”. Gravity is a long-range force which is always attractive. Between two bodies within a plasma, however, gravity is commonly overcome. Cosmologists have never learned this elementary principle: it is the electromagnetic force that determines the evolution of the Universe. Hawking claimed the Steady-State Theory required a modification of General Relativity to allow for the continual creation of matter, but this is false. I developed the Steady-State Theory in 1990 before the Internet came along, and it was sometime before I learned it had already been proposed, in 1948. The problem with the original version, by Thomas Gold, Fred Hoyle, and Hermann Bondi, was that they accepted the red-shift of quasars as a velocity effect, indicating that the Universe is expanding. As a result, the most promising idea ever conceived in cosmology was abandoned. To arrive at the infinite density of a black hole, a collapsing large star must first exceed the density of a white dwarf star (so far — so good). It must then exceed the density at which other stars explode, continuing to collapse until it disappears (not so good). Stephen Hawking is regarded by many as pre-eminent in the field of theoretical physics, for which he has been an articulate spokesperson. I was impressed by his ability for explaining complex concepts that he displayed in his popular book ‘A Brief History of Time’, published in 1988. Having said this, I am compelled to point out that one reason it can be so challenging to make certain ideas understandable is if the ideas are wrong. The book has become a publishing phenomenon and received many awards including the prestigious ‘Locus Award’ for best non-fiction, but it was miscategorized. If it had received the award for best fiction I would not object. In one Internet review the question is asked “Is A Brief History of Time outdated?” and the answer provided was that it will never be outdated. I couldn’t agree more. When a book is wrong it will always be wrong. Wikipedia describes it as “popular-science” but a more fitting categorization would be well-written science-fiction. Hawking again: “The old idea of an essentially unchanging universe that could have existed, and could continue to exist, forever was replaced by the notion of a dynamic, expanding universe that seemed to have begun a finite time ago, and that might end at a finite time in the future.” Hawking has claimed that Einstein’s Theory of General Relativity requires there to have been a Big Bang, but this is a misrepresentation of Einstein’s theory. A Steady-State Universe satisfies the requirements of General Relativity perfectly well. Black holes have had a considerable influence on cosmology because cosmologists’ understanding of black holes has led to their understanding of the Big Bang. But the Penrose singularity theorems amount to a corruption of Einstein’s Theory of General Relativity and once again, specialization has led scientists away from reality. Einstein’s Theory of General Relativity has been appropriated by cosmologists to confirm their Big Bang, Black Holes, Neutron Stars, strings, super-strings, and God knows what else. Einstein would have been offended, and for his legacy to be abused in this way is a travesty. A current blog about neutron stars on a popular science platform, written by one who likes to promote himself as an expert in the field, recently pronounced “The future of astronomy is upon us.” Perhaps he and his fellow experts could drag themselves away from studying neutron stars long enough to take another look at our Sun. Perhaps they would realize that most of cosmology is based on lessons that have been mislearned closer to home.